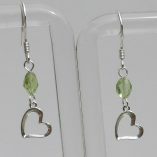 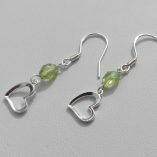 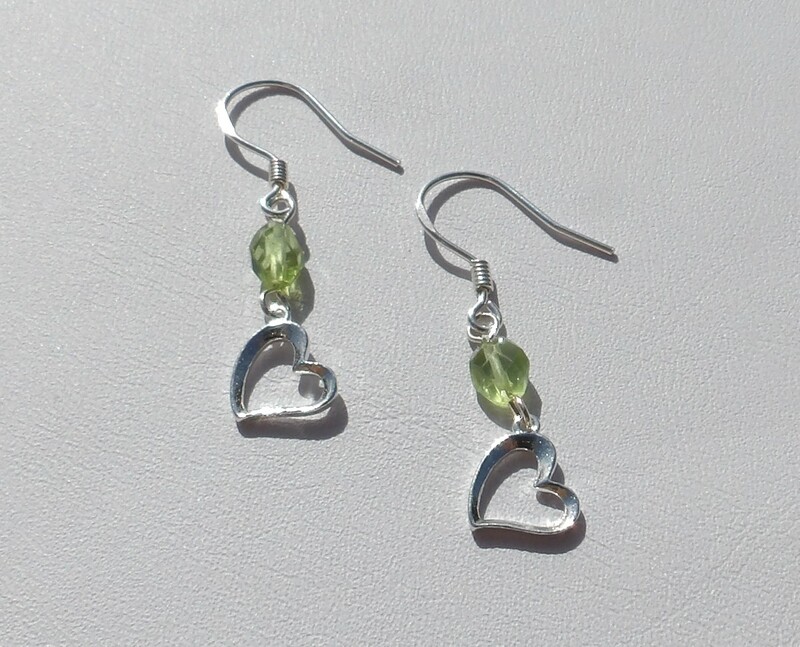 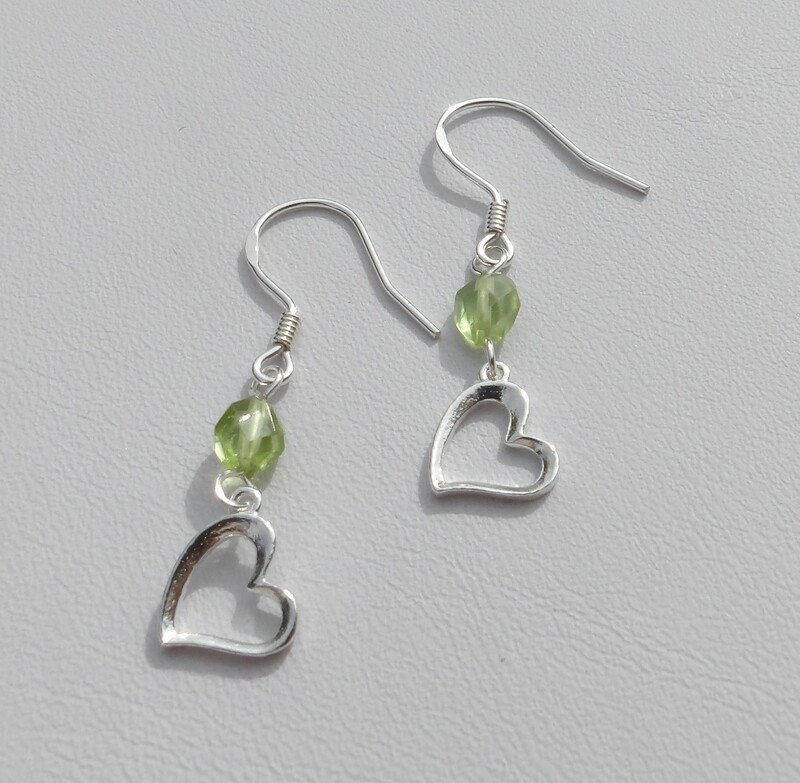 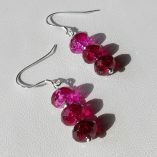 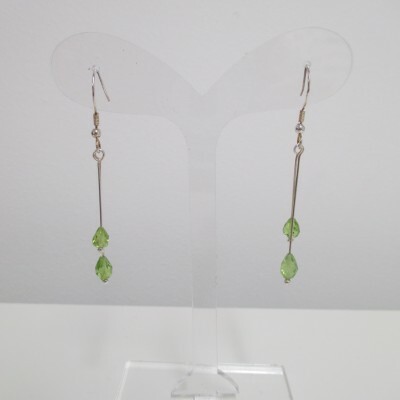 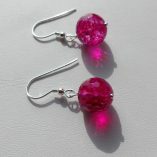 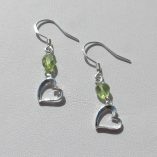 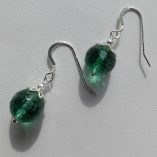 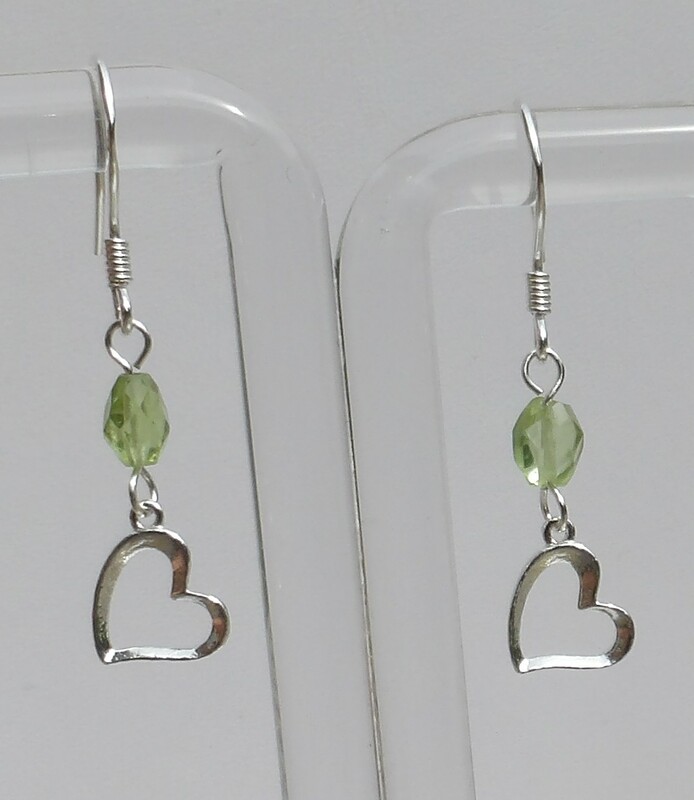 These pretty earrings are made with faceted peridot stones (“stretched octagon” shapes) and sterling silver hearts. 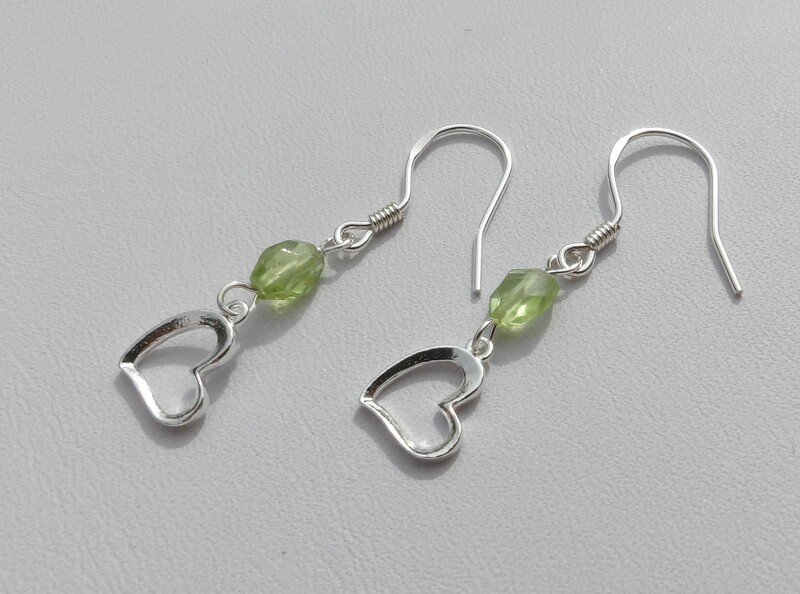 The ear wire (shepherd’s hook) is also sterling silver. 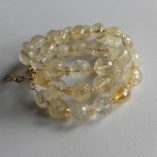 Matching bracelet is available. 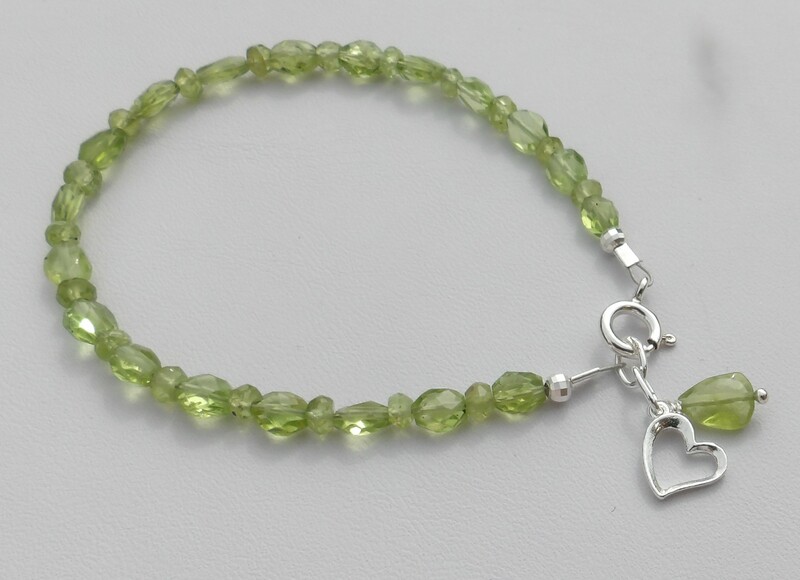 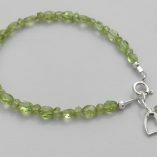 Peridot, August’s birthstone, is believed to reduce stress and be a tonic for body and mind. 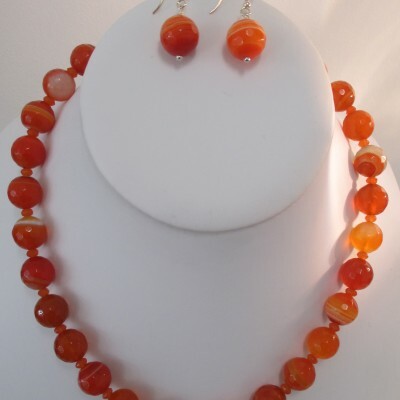 It’s also a good anti-toxin gem, a powerful cleanser. 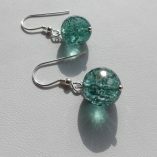 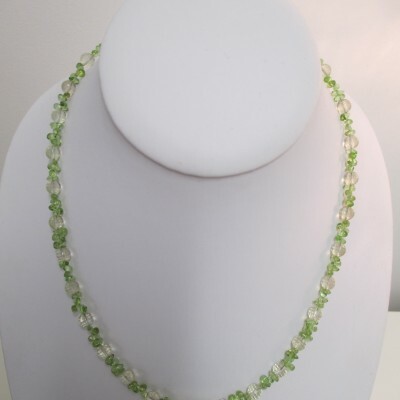 The beautiful green stone sharpens the mind and opens it to new levels of awareness.